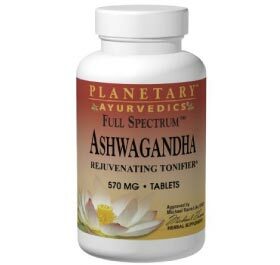 One serving of Planetary Ayurvedics Full Spectrum Ashwagandha contains 70 mg extract and 500 mg of root powder with 2.7 mg Withanolides. Furthermore, 2.7 mg withanolides is too low to be effective. Doesn’t meet the 6 mg per serving extract criteria.